In the beginning, freelancing gave me freedom of time and location, but not financial freedom. I wanted to be able to work three days a week and still make a comfortable living. I wanted to take courses that would help me take my business to the next level but I just didn’t have the money. I went from having zero clients to being booked solid for six months and I tripled my income. It involved the thing every freelancer loathes - marketing - but something came before that. If I hadn’t done this one thing, I truly believe no amount of marketing would have saved my business. Brace yourself, because you might not like it. I created a freelance income plan. 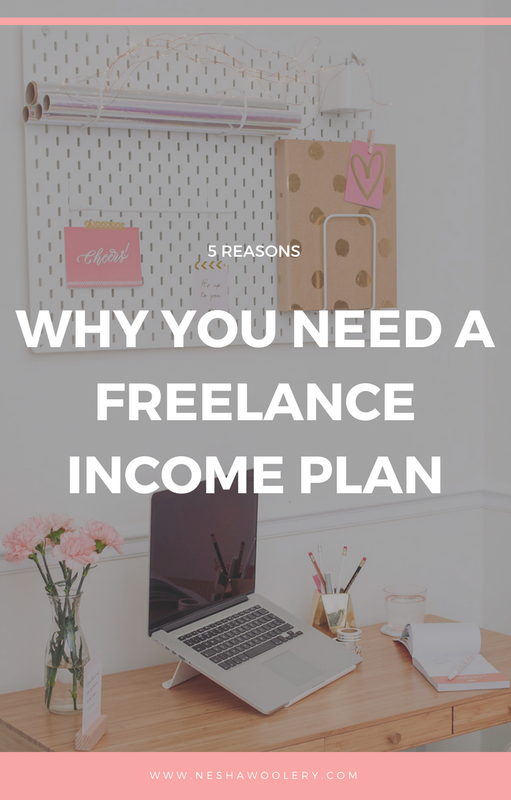 Watch the video below or read on to learn why you need a freelance income plan and how it can help you triple YOUR freelance income in less than a year. “I’ve created plans before and never been able to stick to any of them!" An income plan doesn’t have to be a twenty-page Word document outlining your goals, projections and target market. It helped me to set a financial goal for the year instead of having no goal at all and it helped me plan how I was actually going to make that money. It sounds too simple but that was all I needed to hold myself accountable and start making real money from my business. My plan is centered around what + how much I need to sell to meet my yearly income goal. As you can see, it’s not complicated. It’s super simple! In fact, I’m willing to bet that even business owners who hate planning could stick to a plan like this. Still not sure about this planning stuff? When I didn’t have an income goal, I remember feeling lost. I was never sure how much money was a good amount of money to earn so I turned to other business owners for help. I based my income goals on theirs. … that my business started growing in leaps and bounds. Creating a purposeful income goal drove my business forward far more than any goal I had 'plucked from the air' in the past. Once you know how much money you need to make in the year, you can use your income plan to map out how many services/packages you need to sell to achieve your goal and you can tick off those sales as the year goes by to ensure you’re on track to your dream income. Freelance income plans are great at helping you see if your goals and your pricing are in alignment with each other, and what needs to change if they aren’t. For example, your plan may show you that you’d need to take on far too many clients to achieve your goal. In that case, you know you need to raise your pricing or introduce a higher priced service! Without an income plan, you could hustle through most of the year without realizing that you won’t meet your income goal with your current pricing model. Before I pursue a new service or product, I use my plan to map out how much I would charge and predict how many I could sell per month. From that, my spreadsheet shows me how much income it would produce yearly, and I can then see if it’s worth launching or not. Sometimes, we rush into launching a new service because we’re passionate about it but we don’t stop to think about the return on investment. If this new offering is going to take up a lot of your time, you can use your income plan spreadsheet to work out if there will be a good ROI. If not, you can focus on other, more profitable services! Psst! Want to create your own income plan? Use my spreadsheet + tutorial! Without an income plan, you don't have an income goal to strive towards. Goals push us to do more and be better! Without them, we find millions of things to occupy our time but nothing that truly moves us to accomplish change in our lives or others. When I created my plan, I noticed a huge difference in my daily routine and my marketing. 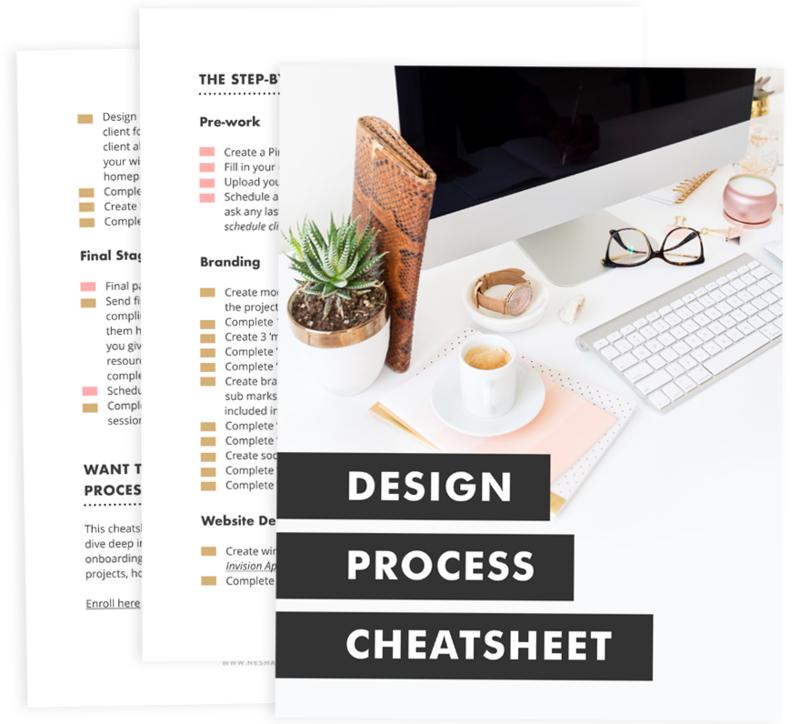 My simple, one-page plan took me from filling my days with tasks that didn’t make a big impact on my business, to filling it with tasks that had the biggest return on investment because my plan made me see what was possible in my business and how easy it was to achieve my goals. My answer was purely based on how I felt about my business. How you feel your business is doing and what your figures actually show are two very different things. I felt I’d done amazingly well in my first year - until I completed my tax return and realized my profit was £35 due to reinvesting way too much of my profit back into my business. Now, I’m always up-to-date on my business’s financial situation. All I need to do is open up my income plan and see the money I’ve made so far and how I plan to make the rest. Do YOU need a freelance income plan to propel your business to new heights? Maybe you feel like you’ve wasted the last six months of the year. Maybe you’ve looked at your bank statements and sadly realized you haven’t made as much money as you thought you would. If that’s the case then I have two things for you. Second, I have a FREE cheatsheet to help you create your income goals: "9 Things You Need In Your Freelance Income Plan." Inside this cheatsheet, you’ll learn the ONLY things you need to include in your income plan.